If you checked out my Kawasaki Ninja 650 mods list, you might be wondering where are all the engine performance upgrades? I’m going to take a bit of an unconventional stance here. 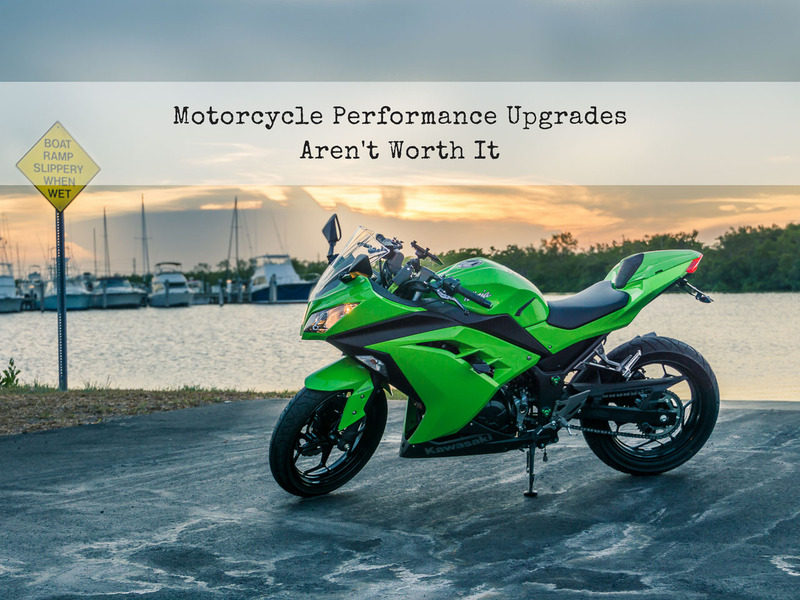 Currently, on anything that isn’t a top-of-the-line model or a race bike, I think motorcycle performance upgrades aren’t worth it. At least not HP-wise, in any case. Don’t think it doesn’t pain me to say that, but it certainly will avoid you a world of hassle and expense. It just doesn’t make much sense for a majority of riders. “There’s no replacement for displacement” and whatnot. 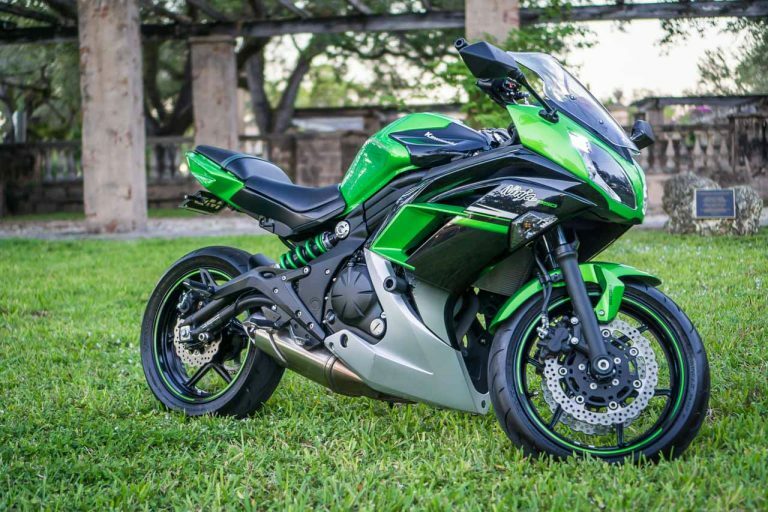 You are going to get way more bang for your buck upgrading to a bigger bike then you’ll ever get with performance upgrades on 300-650cc bikes. 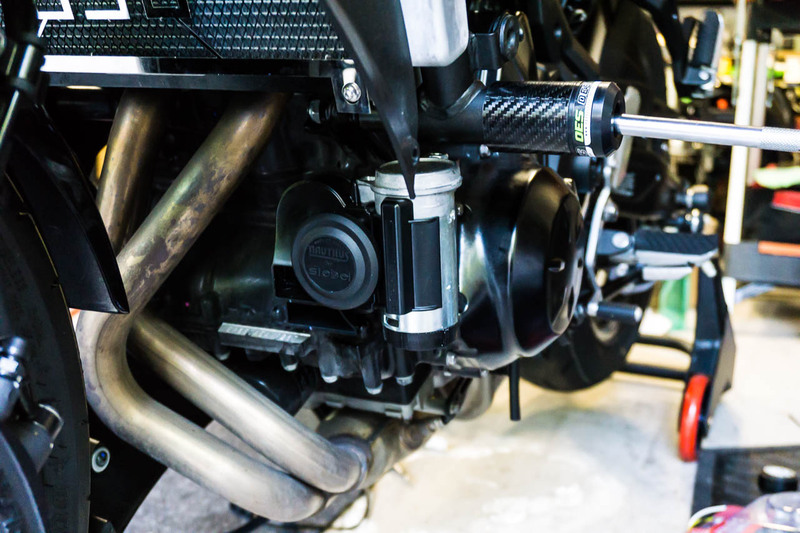 Most performance upgrades for motorcycles advertise only single-digit increases in performance. And that’s the highest number that marketing department could come up with without getting into trouble. Imagine what the real-world value is? And those can be for pretty expensive parts. Dollar-for-dollar, it’s hard to justify. Specially on bikes whose cylinder sizes are smaller than most people’s coffee cups. I definitely love working on bikes. It’s just that there days, on smaller bikes I think it’s wiser to avoid anything that could cause downtime. Most performance upgrades aren’t worth it HP-wise, anyway. Worst of all, there are plenty of cheap (and not so cheap) upgrades out there that don’t have any meaningful impact of performance. At least not positively, anyway. Iridium spark plugs used to be an upgrade that at least theoretically made sense. With 2-cycle engines spark plug fouling and cleaning was a real concern. Plus it was supposed to create a more complete and efficient ignition. These days most mainstream bikes already have some form of long-life spark plug with a fine electrode. Just to keep the bike low maintenance and improve emissions. If that’s the case, the plug will easily outlive the bike half the time. And you won’t see a performance benefit from slapping on something with more exotic metals on the tip, either. Other riders like to install sprockets with more or less teeth. I’m not against it. Just keep in mind that a motorcycle sprocket change isn’t a performance upgrade. It’s a performance modifier. They’re useful for swapping some high-speed for some torque, or vice versa. But it’s always one at the expense of another. You don’t get extra top speed for free. And finally, there are wastes of money. Like liquids you pour in the tank, recklessly installing wider tires, or higher octane fuel. I’m not even gonna bother to touch on those. That doesn’t mean you should avoid all performance upgrades, of course (#NotAll). It just means that they should be few and carefully chosen. For example, I would recommend a washable performance air filter. But not because of the performance benefit, if not because you’ll never have to replace it. Likewise, a full exhaust might be worthwhile. At least as long as you forget about horsepower. The boon here is better sound, aesthetics and weight reduction. Personally, for my Kawasaki Ninja 650, I’m still debating between a Danmoto and a Yoshimura. The Yoshimura is certainly tempting, but over 700 bucks is a bit steep for the lukewarm improvement in sound. ‘Tis the nature of a parallel-twin with a 180-degree crank, regrettably. Other upgrades which are non-engine related, can be worthwhile, chosen wisely. Suspension upgrades are often much more appreciated, though they can be equally expensive. On the other hand there are ergonomic upgrades that will simply make riding more enjoyable without performance having anything to do with it. The good news is that there are plenty of other motorcycle upgrades that won’t affect reliability. Like this air horn. Cus’ there isn’t a better way to say “Hi!” to a driver on their smartphone with an open window. At the extreme, you should only be considering as far as a Power Commander. And that’s only if you have a full exhaust. Even then, it’s mainly for correcting the ratio more than improving the vroom-factor. Anything more than that – say, lighter wheels or custom engine work – is just wasting money in most cases. If you don’t have a full exhaust, than it would also be a waste unless you’re trying to resolve something specific. Countless people have bikes like this in their garage with “just a little issue they’ll take care of when they get the chance”. Motorcycle’s always seem to break down when you don’t have the time to fix ’em. Another main reason why performance upgrades aren’t worth it is reliability. If you knew how to disassemble and reassemble your bike blindfolded, you wouldn’t be reading this. Few people are expert mechanics to the point of not worrying about engine trouble. Most have one bike, that in many cases they struggle to keep in tip-top performance. Engine upgrades just add to that complexity. I’ve done enough work to be able to appreciate of OEM reliability and the peace that comes with it. Let’s face it. Half the time your bike won’t start, it’s your fault. Whether you like it or not, it’s true. It’s not smart to add more factors to that equation unless you have a backup bike (or several) to make the downtime irrelevant. And if your bike is still under the OEM warranty, it’s ever worse. Even for things as trivial as a slip-on exhaust it can be a nightmare to convince the technician your mod isn’t responsible. Even when it obviously isn’t. Getting the OEM warranty to cover anything engine-related gets complicated. Just enjoy your bike and don’t sweat the dyno numbers. 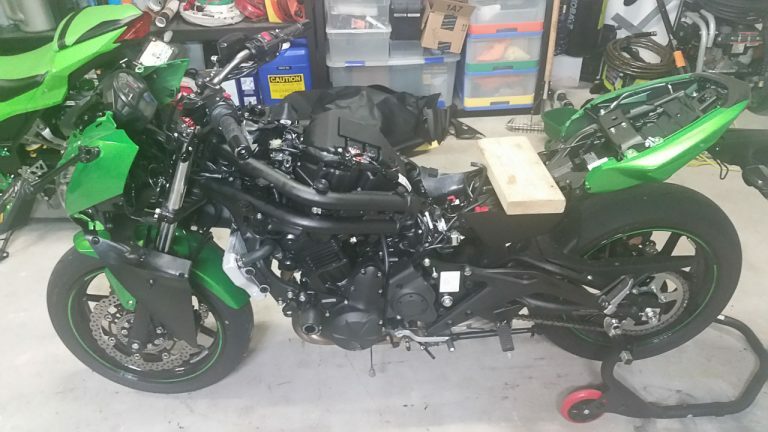 So yeah, in my opinion, performance upgrades aren’t worth it for most people and most bikes. If you have a race bike or top of the line bike, go for it. 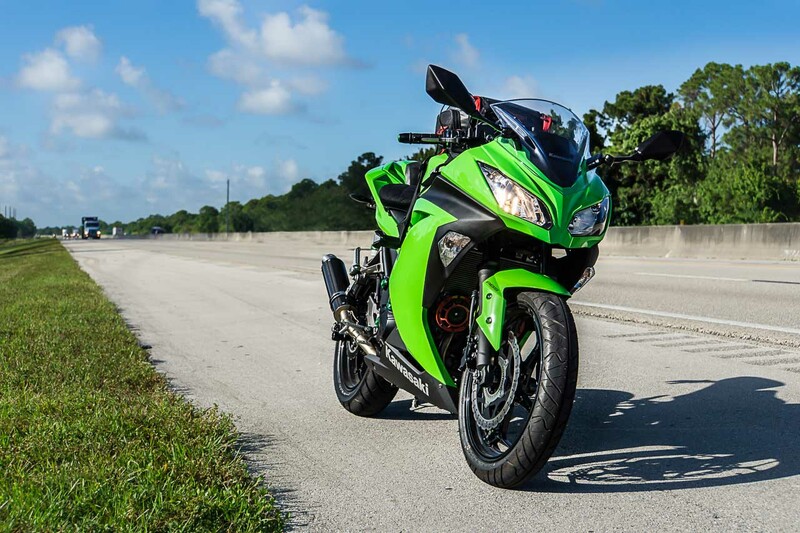 For the rest, you’re better off selling your bike and giving the ZX-10r a taste. Previous PostPrevious D-Rings vs Quick-Release buckles: Are helmet D-Rings Safer?